Ever found yourself not able to connect to a Wi-Fi network on your Android device that you know damn well was there? 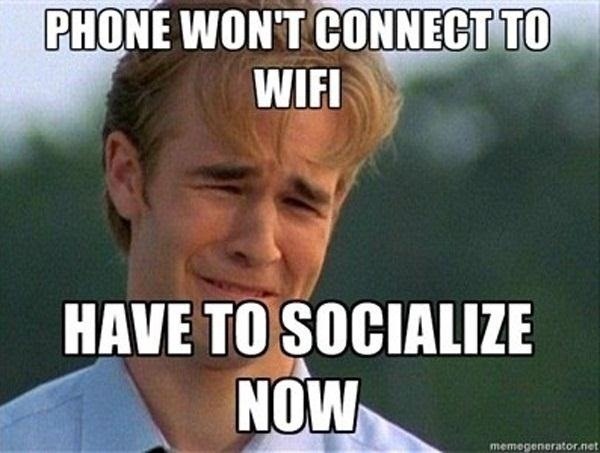 The worst part is that you know it's your device, because you can see everyone else around you on that network! WHAT GIVES?!? Well, maybe it has something to do with your phone's Wi-Fi country code! 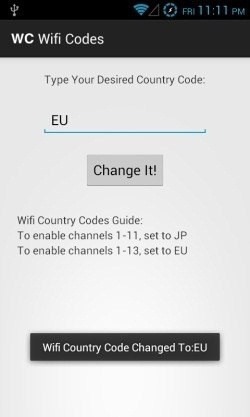 XDA Developers forum member MIMi King has created an application that allows you to change your phone's WiFi country code, which is automatically set by your SIM card. Changing the bad country code lets your phone detect Wi-Fi networks that it could not find before. 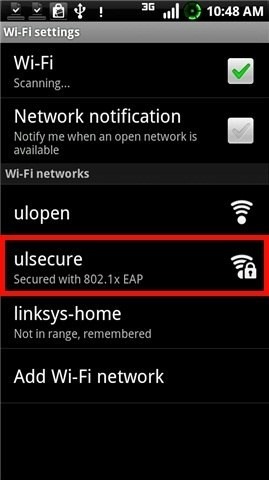 To use, keep your Wi-Fi on and open the app up. You will see two country codes, but if these don't satisfy your needs, change it to the desired country code. Press 'Change it', allow root permissions, and turn your Wi-Fi off and then back on. All of the networks should now show up on your Android device! Note: Android device needs to be rooted for this app. You can download Wifi Codes for Android 4+ right here.